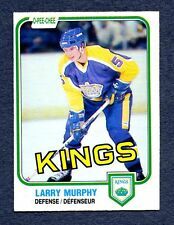 LARRY MURPHY. 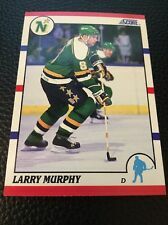 EXCELLENT LOOKING BASE CARD OF LARRY MURPHY. 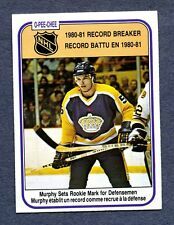 ULTIMATE BASE CARD. CARD FEATURES. 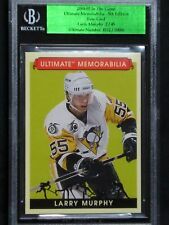 1997 Pinnacle Be A Player Die-Cut Autographs Autographed #141 Larry Murphy Auto. Condition is Like New. Shipped with USPS First Class Package. See Scan: Beautiful card. Terrific color, gloss & photo quality.Four nice corners. See Scan: Beautiful card. Terrific color, gloss & photo quality.Four real nice corners. No creases, wrinkles or paperloss. Clean back. Great centering.